The active provider chest is a large advanced storage item that is part of the logistic network. 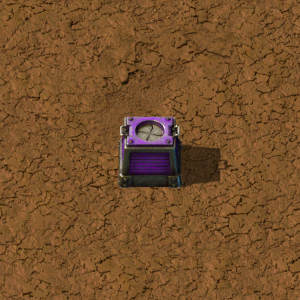 Logistic robots will pick up items from this box to move them to requester chests or the player. Unlike passive provider chests, logistic robots will also actively attempt to move all items within an active provider chest to storage chests when there are no other tasks available. If you don't want the contained items to be moved until they are specifically requested, then use the passive provider chest instead. Active provider chests have the highest priority as pick-up points for logistic robots when fulfilling requests.